With the Sunshine Coast Stadium halfway between Mooloolaba and Caloundra, your perfect Sunshine Coast Stadium accommodation is right here at Burgess @ Kings Beach. 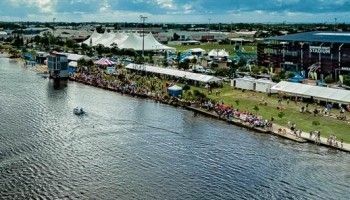 For whatever event you’re coming to the Sunshine Coast for, whether it’s to watch the Sunshine Coast Falcons or your favorite league team play, see a show, or to participate in a tournament, we offer accommodation that is spacious and affordable, especially if you are travelling in a group. Burgess @ Kings Beach is also well worth considering if you are coming to any other event in the Kawana Sporting Precinct. It’s handy to the Brothers Rugby Club, The Soccer Association and the Kawana Aquatic Centre. Across Lake Kawana is the handy Kawana Shopping Centre with several cafes and shops to stock up on provisions. 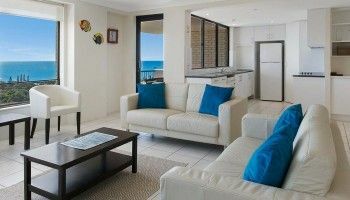 Burgess @ Kings Beach offers fully self contained 2 and 3 bedroom apartment accommodation right in the heart of Caloundra. The wonderfully spacious apartments will have enough room for your tribe to feel very comfortable after a day out as a spectator or player. Take some extra time out of your schedule to enjoy the laid back and casual beach setting. At just three minutes walk from Kings Beach, and a minute more to the Salt Water Pools, unwinding is a breeze. The gentle and sheltered Kings Beach is fully surf patrolled — the perfect introduction to beach life for littlies, and a relaxed setting for families in general. Although you may not have to go very far at all at Burgess @ Kings Beach. With our superb resort amenities, you can unwind beside our pool, or soothe your tired muscles in the spa that sits alongside the pool. If you need to feed the team, what better way than to light the barbie and char that meat. The BBQ is also poolside. Your perfect Sunshine Coast Stadium accommodation is right here at Burgess @ Kings Beach. Book now.